The castle is now in the care of Cadw, the historic environment service of the Welsh government. 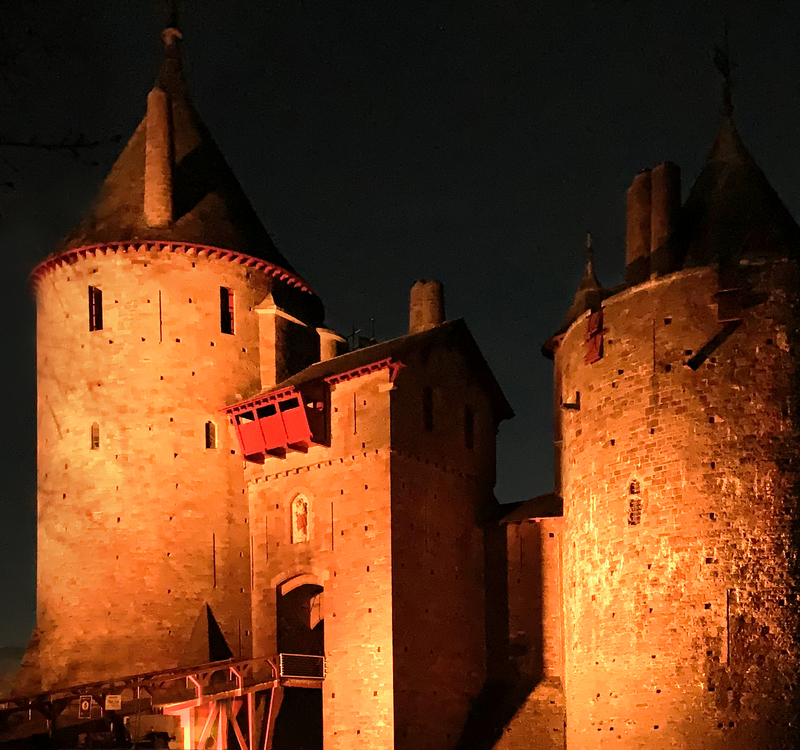 The site is open daily to the general public; Cadw’s conservation efforts, installations of touch screens and multi-sensory technology ensure that it a compelling and inclusive place for all visitors. The castle also hosts art exhibitions and other events. Six of Pulsar’s flagship Luxeos 36 VC floodlights illuminate the gothic-revival facade. The RGBW light engines can create a full range of colours and white light hues with industry leading light output. These light engines are housed in tough, weatherproof machined aluminium bodies. Working with a unique heritage building presented Pulsar with some interesting challenges. Positioning of the lights required careful consideration and advice from ecologists to ensure not to disturb the bats that nest in the towers. Similarly, many of the trees around the site are protected so the installation team had to take special care when mounting the lights on poles around the site. The Luxeos floodlights are controlled by a Pharos system using a TPC, which is set up to give a large palette of options for the onsite staff to choose from. 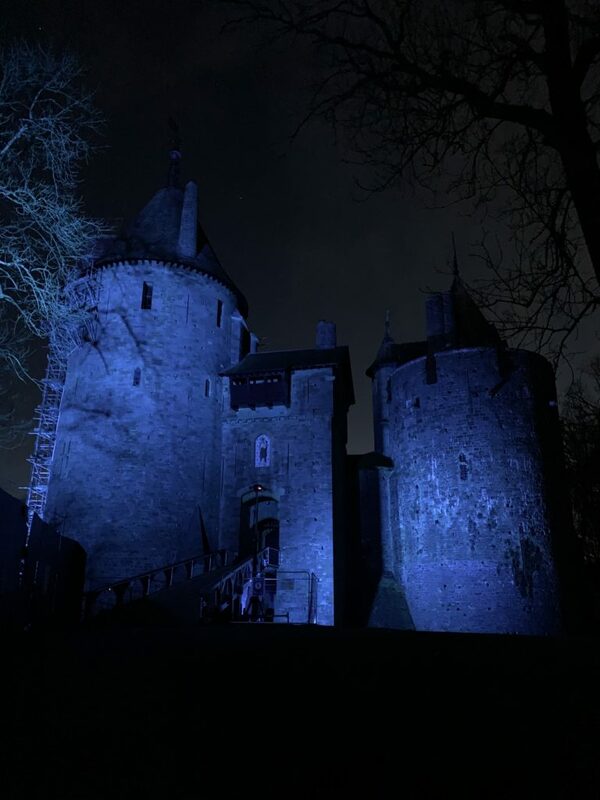 Throughout the year the castle will be lit up in various shades of white light so that it is visible from the nearby M4 and A470 roads. 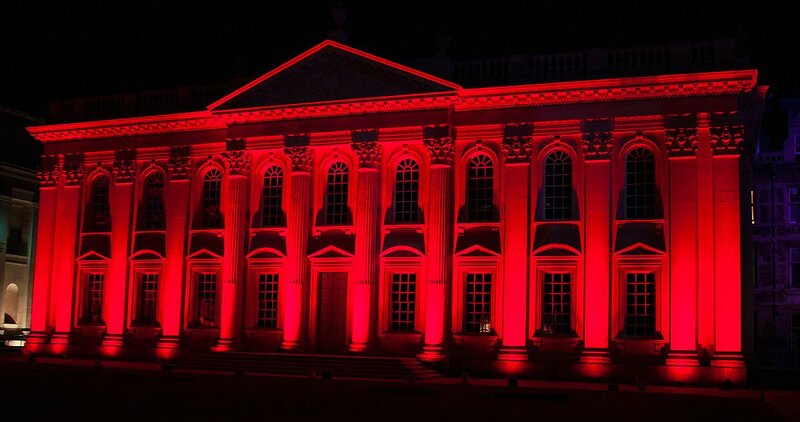 The lighting can easily be changed and customised to suit specific events throughout the year. The Luxeos Range products from Pulsar represent a distillation of over 45 years of lighting and control expertise. Pulsar’s Luxeos Vivid Colour (VC) fixtures use their new custom RGBW light engines for unmatched colour mixing and consistency. 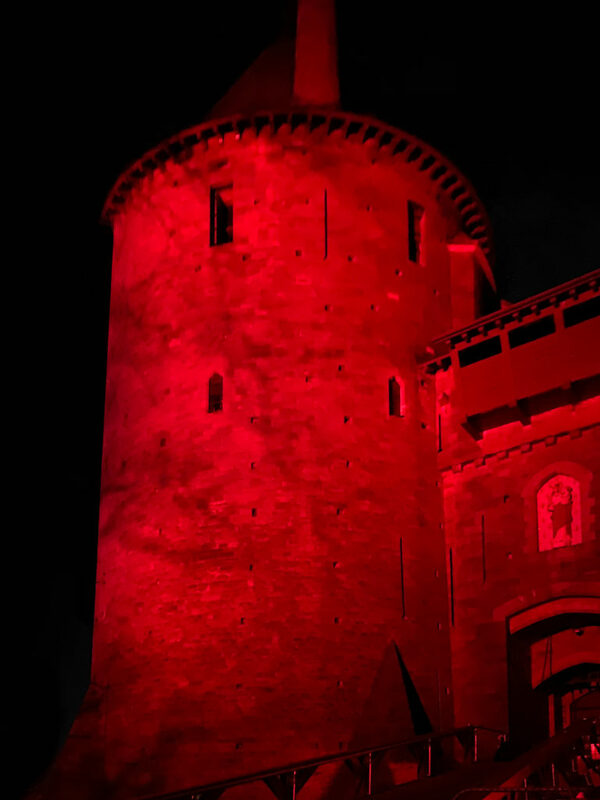 Pulsar manufactures a wide range of colour controlled LED luminaires for large-scale architectural projects, television shows, live performances, hotels and many other applications. Pulsar’s range provides high power, high quality LED lighting backed by Pulsar’s commitment to reliability and state-of-the-art product design. Our factory and offices are located in Cambridge, UK where we have been making lighting equipment for more than 45 years.